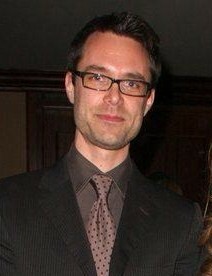 Davey Holmes has written for television shows including In Treatment for which he won a writers Guild of America Award for Best Screenplay – New Series, Damages for which he received a nomination for Writers Guild of America Award for Best Screenplay – New Series, Pushing Daisies, 3 lbs, and Law & Order. He is a supervising producer and writer on Chicago Code. He is also known for his work on Shameless. Davey began his writing career in New York City with a production of his original play MORE LIES ABOUT JERZY at Vineyard Theatre starring Jared Harris, and later productions of the play in London at the New End Theatre and in Los Angeles at the Hyworth Theatre starring Jack Stehlin. More Lies About Jerzy is published by Broadway Play Publishing Inc.